Deforestation. We need to take a pause. In yahoo science news this morning, i read an intriguing article about plastic-eating mushrooms. I take myself to be a science buff, therefore i read it through and at the end, i was pleasantly surprised to discover that that which we have tried so hard to destroy was the same environment to which we return when we need an urgent solution to our problems. What i am referring to here is the capability of our natural environment to provide for and sustain us. I can visualize the research scientists in the forest moving in unison towards their find. Upon encounter, they very likely took a reverential pause and looked on in wonderment as one of them stooped and plucked a mushroom out of the spongy mass, everybody staring at their peers as they gathered to analyze and mentally take notes. After deep mystical considerations had been made, the one with mushroom-in a quasi-ecclesiastical exclamation-must have gone like, “oh mother earth we have so much to thank you for…” looking around him warily as if they were on some alien planet (and here the voice may trail off, replaced by an enigmatic silence). We have got to get back to the wild and re-discover what was lost a long time ago, the knowledge of plants and their various attributes. So much is now unknown. Other cures for what ails society today have been found in nature, a good example being natural water-purification which can be done by certain bacteria. 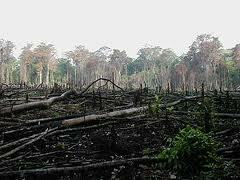 Back to the topic, the discovery was made by Yale University researchers in a part of the Amazon forest, in Ecuador. The issue of plastics has been a thorn in the flesh for a long time because plastics are non-biodegradable. In fact it is mind-boggling for me to imagine anything that feeds on plastic! Brings you to the unsettling issue of how much else that we don’t know about that’s out there. Hope you enjoy! !